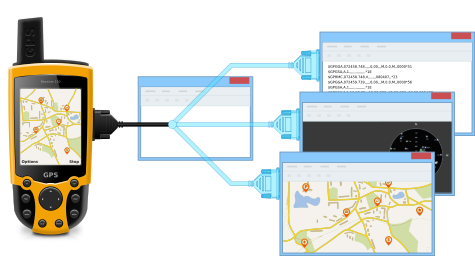 Serial Port Splitter - Share dataflow of one serial port among several applications or join dataflow of several serial port devices to one application. Share serial data of one COM port among several applications. Look for detailed overview on the product's website. To sum up, the FabulaTech Serial Port Splitter is an easy to setup stable and reliable product, it does what it says on the label. Serial Port Splitter. Share dataflow of one COM port among several applications.